Exporting to other countries is a strategy many small businesses (and even some home-based businesses) have used to expand their market. Government estimates even show that very small companies i.e. those with less than 20 employees made up nearly 70 percent of all U.S. exporting firms. If you are thinking of marketing to other countries and reaching the global markets, the first step is to research thoroughly. You need to know about export policies, tariffs and duties, price structures, currency exchanges, and many more. 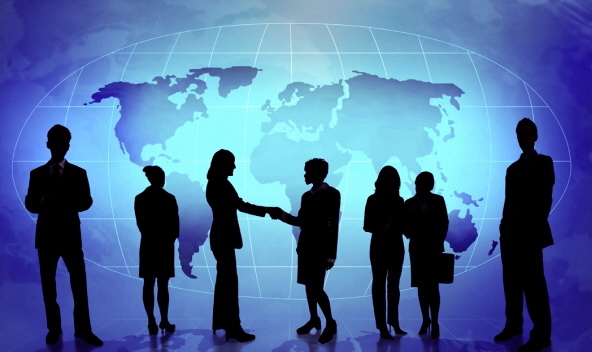 You need to find the right overseas partners that you can trust and be able to work with effectively. There are thousands of details you need to know to make sure that you will not lose your shirt while expanding your business overseas. This should be your first stop if you are looking for information on how to start exporting your products to other countries. A government-run portal, Export.gov is a collaboration of 14 different government agencies including the Small Business Administration, Department of Commerce, among others. This is a comprehensive one-stop resource containing informative articles (e.g. basics of exporting), market research data, trade show calendar, tips to shipping your items overseas, and many more. Registration is required to use the site, but free. The site provides a list of US Export Assistance Centers located in some key cities in the United States. The Centers are mandated to provide small and medium businesses with export assistance. You can receive guidance, support and a little hand holding as you explore the global market for your business. A paid service provided by U.S. Department of Commerce, this site is extremely useful if you are a US company looking for potential business partners (suppliers, manufacturers, etc.) overseas. Non US companies can also find the site useful for those looking to partner with a US company. The site offers listings of companies as well as trade leads. Registration fee is $50. Learn what countries are the biggest international markets for your products. This free tool provided by various agencies under the Department of Commerce allows you to know the biggest markets for products ranging from photo plates to barley. This site is a listing of resources for small businesses looking to export products to other countries. It has links to counseling services offered by the Trade Information Center to advocacy to support small and medium enterprises. A paid subscription magazine created for “U.S. companies doing business globally.” The magazine features stories of businesses who’ve been working globally, and the challenges they faced. It offers tips on how to do business with foreign companies (e.g. learn guerrilla linguistics). A magazine that offers news, analysis and information for businesses that import or export to the global market. It covers topics such as transportation and logistics, international trade finance, insurance, language & translation, among others. Best of all, subscription for both print and digital formats is free. One barrier you will face when dealing with overseas partners, businesses and suppliers is language. There are a number of sites that offer free translation. Beware, though, many of the translations are laughable. Some of the translations are too literal and would not make sense in business communication. For greater accuracy, consider paying for translation services from qualified translators including proofreading. Ask a native speaker to at least give you 40 business phrases that you can throw every now and then during meetings. Also check out linguistic software such as Rosetta Stone, though these are not typically business-focused. If you are thinking of marketing to other countries, the first step is to research thoroughly. Learn some of the best resources you need to check out when thinking of expanding your business overseas.